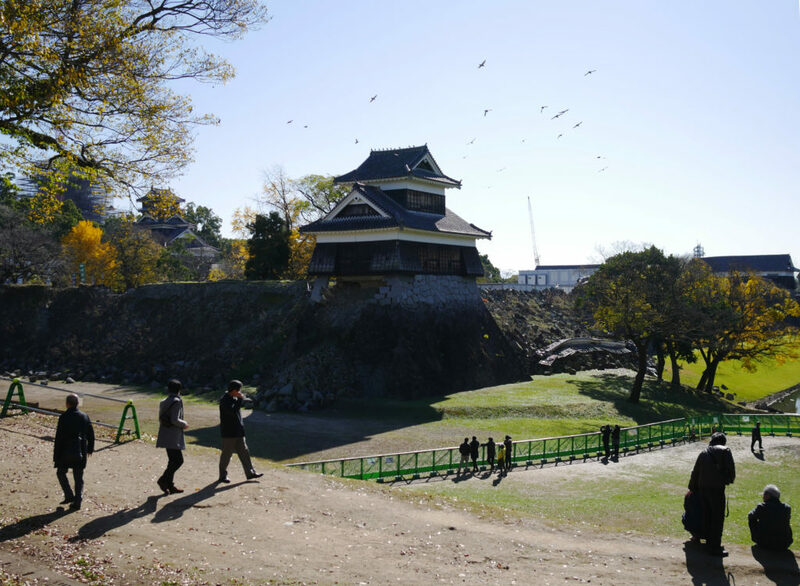 The day after, I was around Kumamoto Castle, and what appeared to be an otaku event was ongoing nearby. 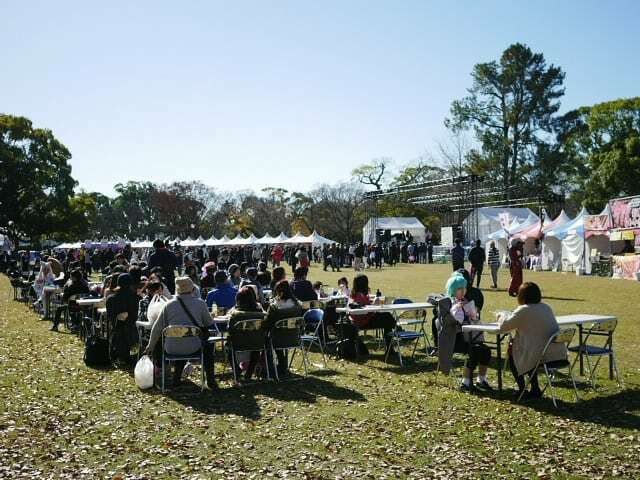 Cosplayers, food booths, a stage for performances. A vendor had a sign that you could talk to them in English, and I bought a slab of bacon from them. Yes, it didn’t appear to be a town festival that was on official tourism brochures, but this feels a bit better. I didn’t come for it, but I’m amusing myself that it showed up for me. Mid-afternoon, I was already in line to buy concert merch. It wasn’t that hard to locate the livehouse. 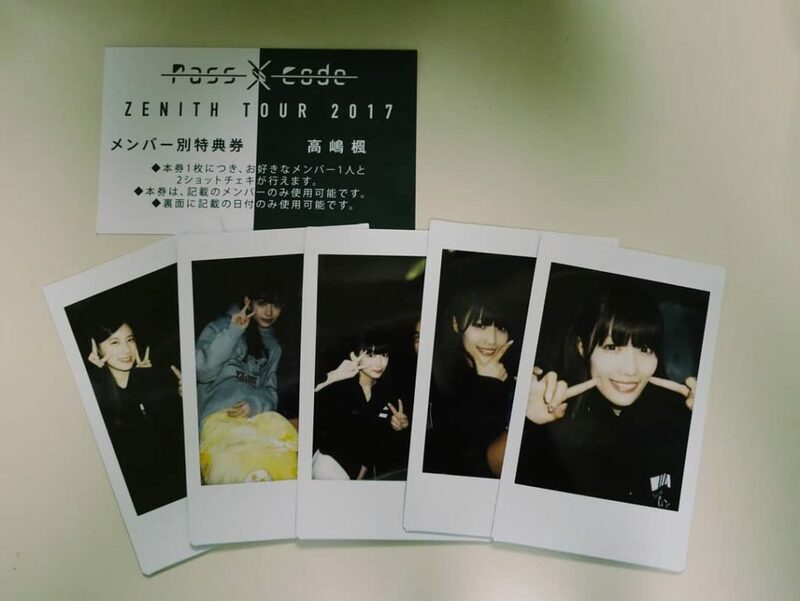 This was the first of the two Kyushu region gigs PassCode will do for their Japan tour. PassCode is a four-member idol group. They do electronic, dance-rock music, with vocoded singing, with screams. I have been a fan for a few years, and today will be my second chance to see them. I traveled to Taipei last time. Tickets for Japanese concerts are usually numbered, and that will determine when you can enter. I won mine by lottery, and I was sure to be on the first three rows. The concert starts, and my heart is now overworking. The group had a full rock band in tow now. First song. Three members are in sight. My favorite, Yuna, the littlest, the brown-haired screamer, is nowhere. This has happened before -her being not able to perform due to health reasons- and she went on hiatus for a few months. This tour was her comeback. I know the song well. It was the first track of their second album, their first on a major label. Yuna had a part in it, early in, that the other members masked by shouting, cheering with the crowd. A part of me deflated, and sunk into a well of defeat. Before the first chorus, she was on stage, screaming her lines. She seemed weak. She stopped dancing often, would be out of step with the others. Her hair would cover her face most of the time. She would step out of stage a lot. Some staff members would have their back at the audience to cover her when she had to crouch, or sit down. No one can say for sure if she was crying, but she was not clearly in a condition to continue. The oddest thing was, she did her lines, screaming incredibly well, as if it was the most natural of (her) human functions. Idol concerts would typically have a time after the performance when you can have a photo with the group, or even each member. I bought four tickets, but I was again arguing with myself that this didn’t seem right. How can I justify this? I sure can’t know the true conditions of the situation, but the section of my will for reason now refuses to work with me. I was in the line for Yuna, when someone told me I didn’t have the right ticket, that they already sold out the 10 allotted for her. I didn’t use my fourth ticket. There were two ways back to the hotel. One is a shopping street, one is teeming with adult entertainment establishments. I can’t remember what I had for dinner. I remembered walking for a long time. I was off to Fukuoka the next day, where I would see the second concert. I wanted to take the local train, but Google Maps suggested it would be easier take a long distance bus instead. There was a stop for it nearby, and convenience won over the tourist experience. My purple luggage’s wheels noisily tread on as a blissfully quiet, Sunday morning happens. I tried to look for the crows I was astonished to see yesterday, floating above the traffic lights. Those were huge crows, but they weren’t out yet.